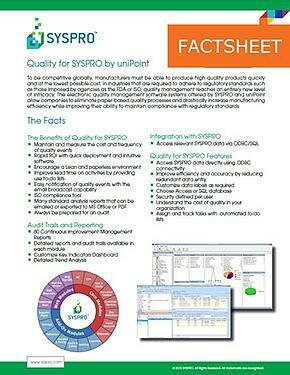 uniPoint quality management software is designed to help your company automate its journey toward excellence. With sixteen integrated software modules for quality management and compliance management, uniPoint will transform your quality management system into a collaborative environment for continual improvement, while tracking the total administrative cost of quality at every stage. Research shows that the cost of poor quality can range from 20-40% of business costs (e.g. rework, scrap, late deliveries, reduced service levels, and lost revenue). Company CFO's boast about getting fast ROI on their uniPoint investment, many within 3-6 months of implementing. Manage CAPA records originating from any department, function and site utilizing a centralized database and single-user interface. A key component of an effective CAPA system is the management of investigation tasks, which are initiated to determine the root cause of the problem. Investigations, corrective actions, preventive actions and effectiveness checks are created as "children" records to the originating event or issue, and are identified with the applicable problem, investigation and root cause(s). The UniPoint Coordinator® 24/7 Business Rules engine monitors key milestone dates to ensure investigations and CAPAs are closed on time. 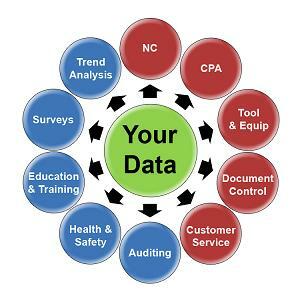 Easy-to-use search tools provide your organization the ability to retrieve valuable information based on security levels established in the user profile. Get the free uniPoint software factsheet by competing the form. Get the FREE Factsheet Now!